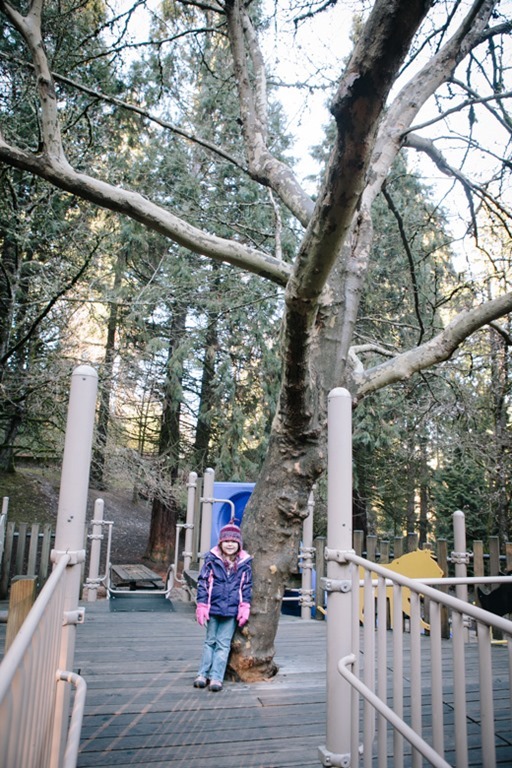 It may seem odd to start our project with number 97, but this cold-and-sunny afternoon seemed like a perfect time to explore a new park. 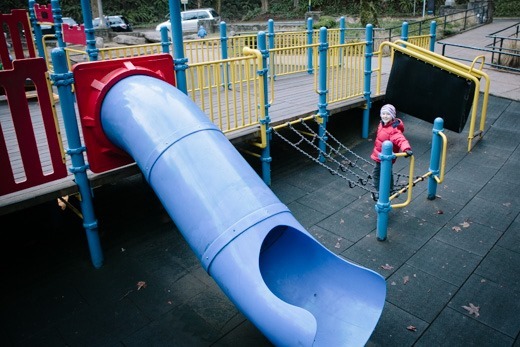 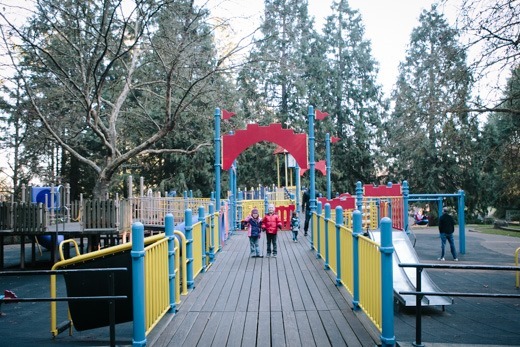 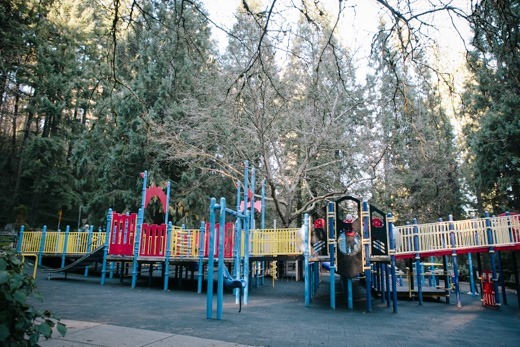 We’ve been meaning to visit this one for a while; it’s the largest play structure in Portland! 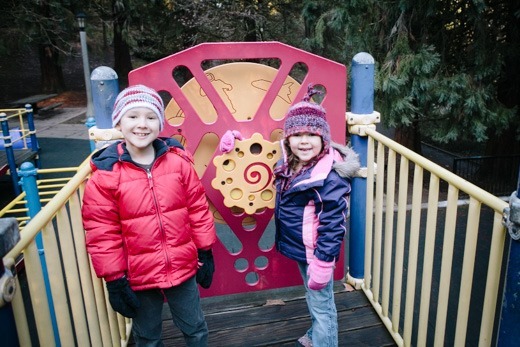 Will and Lucy had a great time exploring all of the slides.